Surprise! 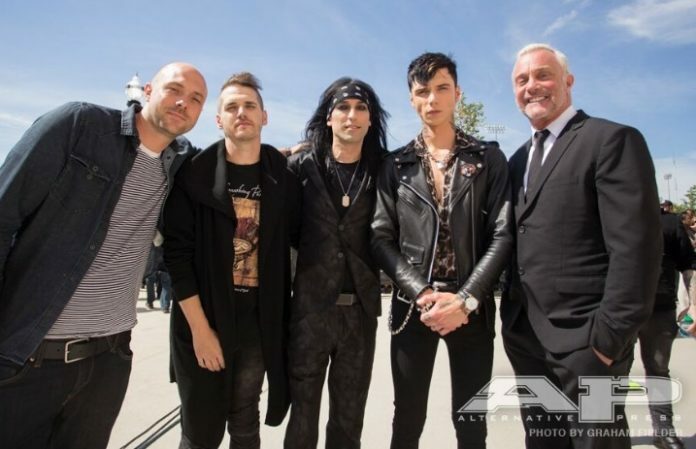 Andy Black formed an APMAs-exclusive supergroup with Mikey Way (ex-My Chemical Romance), Quinn Allman (ex-the Used), John Feldmann and Christian Coma of Black Veil Brides. The quintet performed two songs from Biersack’s debut solo album, The Shadow Side: “We Don’t Have To Dance” and “Louder Than Your Love.” Watch footage of the one-off performance below!